Gyeongju Iljeonggyoji / Weoljeonggyoji are historical bridges, National Heritage Site No. 457, and they are being reconstructed. 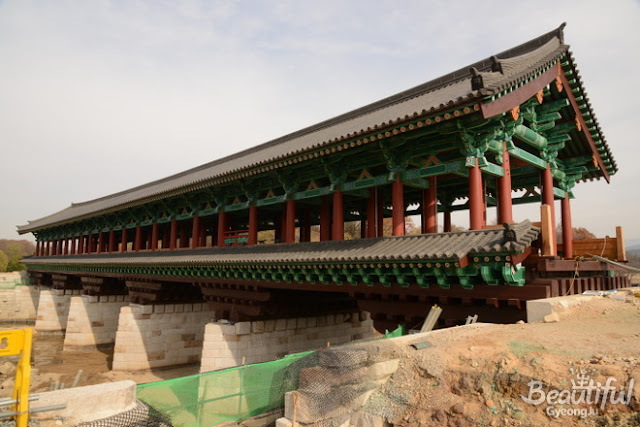 They show the civil engineering skill and method of ancient bridges. 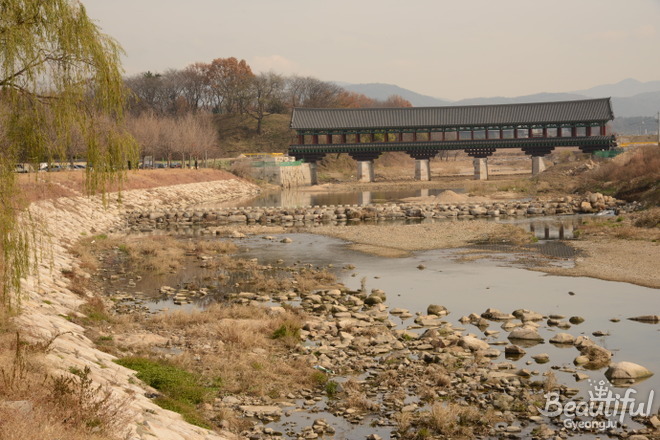 Iljeonggyo connects Namsan and the southern outer region of the fortress. 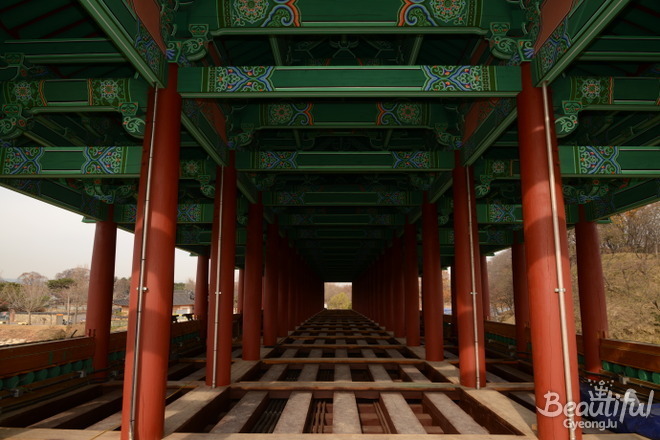 Weoljeonggyo used to be the main road of the west Silla capitol. 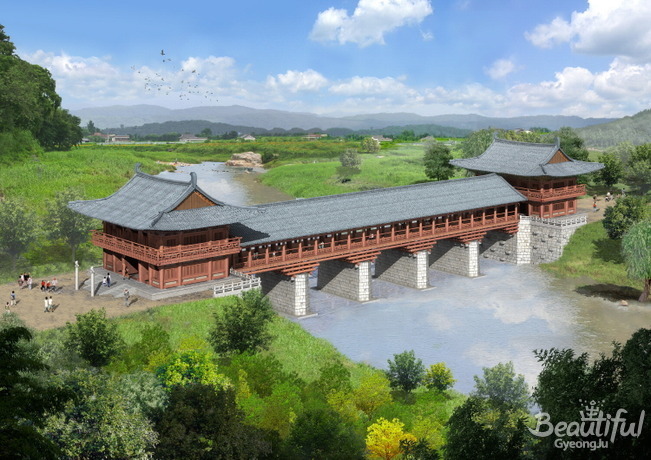 These are important references to understand the size of the ancient capitol of Shilla and its characteristics. 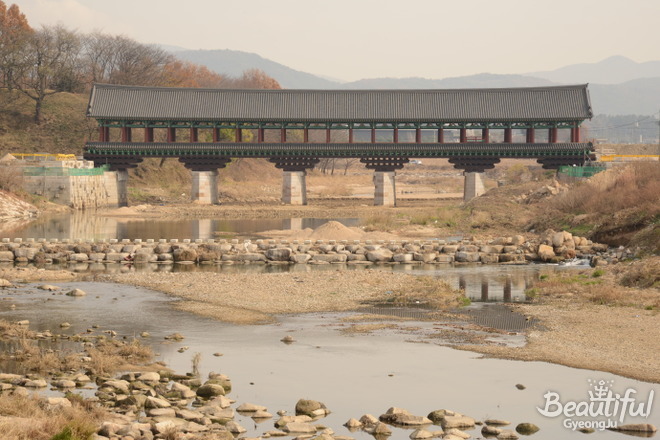 There are many legends about bridges in Korea, and there is legend about Weoljeonggyo that Wonhyo fell off the bridge into the river on purpose to meet the Princess Yoseok, he had to stay at Yoseok Palace to dry his clothes, which resulted in the birth of Seolchong. Another record states that King Gyeondeok, in the 19th years of his reign, built two bridges over the south stream. The Shilla capitol at that time accommodate 170 houses and one can speculate that Weoljeonmggyo was not not just a bridge crossing a river but was the entrance to the capitol and the land of Buddhism. In Buddhism, building a bridge is one of the three achievements, and there were bridge engineers among monks. 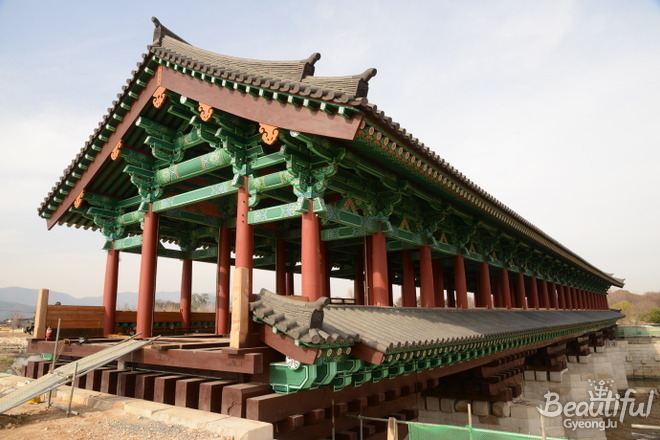 When we research all the records up to the start of the Choseon Dynasty, we find that there were 10 bridges in Silla. However we can only currently find Iljeonggyo and Weoljeonggyo.